Vijaya Lakshmi Pandit was born on August 18, 1900 in Allahabad. She was the daughter of the former President of the Indian National Congress - Motilal Nehru. She was the sister of former Prime Minister Jawaharlal Nehru and the aunt of former Prime Minister Indira Gandhi. Vijaya Lakshmi Pandit had two more siblings the youngest of which, became a noted author. Vijaya Lakshmi received her education from private teachers and later from the University of Allahabad and abroad. She was very interested in women’s rights. She was married to Ranjit Sitaram Pandit, a barrister who translated Rajatarangini from Sankrit into English. The couple was blesed with three children. Rita, Nayantara and Chandralekha. In subsequent years, he was put behind the bars for his support to the Indian independence struggle where he died in 1944. Her daughter Nayantara Sehgal is a famous novelist hailing from Dehradun. Her grand-daughter Gita Sehgal is a writer and a journalist. Vijaya Lakshmi Pandit breathed her last on 1 December, 1990. Vijaya Lakshmi was deeply involved in India’s freedom fight. She was a staunch supporter of Mahatma Gandhi. She was also imprisoned many a times in the 1930s and 1940s for her involvement in the freedom struggle. After the independence of India she worked for years in the new government. 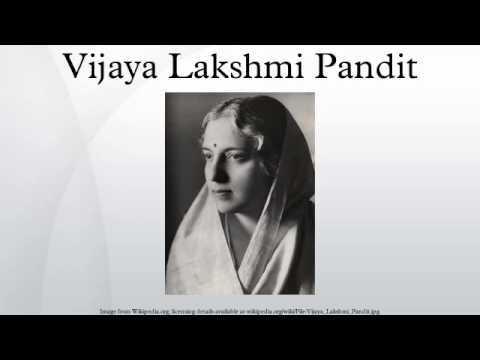 Vijaya Lakshmi Pandit was the first Indian woman to hold a cabinet post. She was elected to the provincial legislature of the United Provinces in 1937 and was designated minister of local self government and public health. She was elected to the Constituent Assembly from United Provinces in 1946. She worked as India’s ambassador to the Soviet Union, the United States, Mexico, Ireland and Spain. She became the first women president of the United Nations general Assembly in 1953. She served as the Governor of Maharashtra from 1962 to 1964 after which she was elected to the Indian Lok Sabha from Phulpur. She held office from 1964 to 1968. 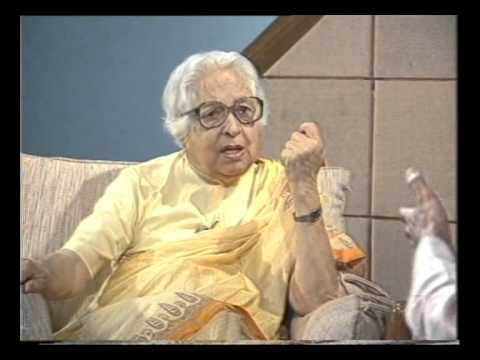 Vijaya Lakshmi was a harsh critic of Indira Gandhi. She was opposed to the Emergency declared by Indira Gandhi. She left the Congress party and joined the Janata Party where she campaigned against Indira Gandhi. She was appointed the Indian representative to the UN Human Rights Commission in 1979. The writings of Vijaya Lakshmi Pandit include The Evolution of India and The Scope of Happiness: A Personal Memoir.